Why is Hashem sending us all these horrific tragedies? And such strange, freak tragedies that so defy reason that they seem to clearly hint at the Divine plan behind them. The unprecedented terror attack in previously placid, small-town Toulouse…The freak electrical fire caused by a laptop left on a bed…The brakes failing in a brand new minivan after the brakes had passed an official safety test with flying colors only 3 months before. I don’t know what Hashem wants us to do with all these bizarre tragedies….And all of them involving families who were exceptional families, sincerely devout people known for their great faith and devotion to the Jewish people. I’ll leave the burning question “WHY?? ?” to people far wiser than me. But, at the very least, I think that Hashem is drawing so much attention to these holy families because we are meant to learn from them. And I personally feel that my exposure to these families through the tragedies that occurred to them has strengthened my faith and changed the way I see my life in subtle but important ways. 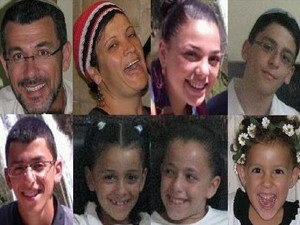 So what have the members of the Attias family taught me through their untimely deaths? I have learned from them to live every single day of your life like it is your last day alive. The average person’s life look’s something like this: wake up, eat, go to work, eat, work some more, come home, eat, hang out, eat a snack, say “Goodnight” to your wife, go to bed. And then, when a person, G-d forbid, finds out that he is terminally ill and that his days are numbered, he generally undergoes a dramatic transformation: “How do I truly want to spend this final year? These final 6 months? This final week?” he asks. And I think that for most observant people, at least, this urgent transformation involves a sudden switch of focus to family and mitzvoth and spirituality. And notice how this entire average day was dedicated to family and mitzvoth and spirituality. At the same time, mother Yehudit Attias (42), was making her way to the grave of Rabbi Mordechai Eliyahu zt”l in Jerusalem with a group of women from her Moshav. One of the friends who accompanied her explained after her death, “Yehudit was a woman of prayers, kindness, and giving, and it was very important for her to come with us.” Later that day, Yehudit joined her family at the dedication of her father-in-law’s synagogue in Migdal HaEmek. At midnight, the synagogue dedication was over, but the Attias family remained to clean and scrub the synagogue from the disorder left behind by the hundreds of participants at the gala dedication. Only after the synagogue was spotless, the Attiases made certain that Grandfather Shimon and Grandmother Raymond arrived home safely from the event. At 1 AM, the Attias family decided to delay their trip home to Moshav Bar Yochai in order to head to Tiberias to recite the Prayer of the Shl”a HaKadosh, which is traditionally recited on the eve of Rosh Chodesh Sivan, at his grave. It was when they were on the way to Tiberias that the father realized that there was a problem with the car’s breaks, and soon after the accident occurred. Pirkei Avot teaches “Repent one day before you die…” and every student always asks how one can know when that day will be…The answer? We DON’T know, which means that every day we should do teshuva, focusing on our ultimate priorities: Hashem, the Torah, our families, and live like it is our last day alive. 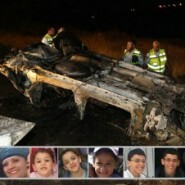 Just like the lost members of the Attias family, yehee zichram baruch. Very nice blog post after such a difficult time. One cannot help but feel shame when reading about the selflessness, the righteousness of the Atias family. I for one know I am not doing enough. What a tragedy and wake up call. G-d is merciful. I love what you have written. What a beautiful last day on this earth, in this life. What a beautiful lesson and example left for us who are still here in this life, on this day. Naomi Cohen, the thought also did pass my mind. Why are the righteous going through these horrors? Is it better to stay under the radar, be a little less righteous? But we know that is not the Torah way or Hashem’s desire for us. We cannot fathom what is going on here except that Moshiach must be very close. We must do even more right now to bring all of these families to be reunited with their loved ones. We must be kinder, we must call that person that we need to call, apologize to that person that we need to apologize to, bring love and kindness to the front in all we do, and do all we can to bring Moshiach right now. There are mothers and fathers waiting to be with their children, and children waiting to be with their mothers and fathers, how can we not do every thing we can possibly do to bring them back together. We need to do even more, right now. They are counting on us! Does anyone know if any fund or donation plan has been setup to help the little girl? If so, please post. A small correction – articles say Mrs. Sandler has a 4 year old daughter. Isn’t there a concept about Hashem taking korbonos for all of us? His korbonos have to be perfect, so almost an entire family of perfect, mitzvos-filled people is a huge karbon and hopefully it should be instead of something much worse happening.